Any time you file a lawsuit, you have to tell the other party about it – and not just in passing. Rather, you have to deliver a full copy of the court documents so the other side knows exactly what's going on. Making sure the other party receives copies of the court forms you prepared is known as "service." You'll follow that up with a written affidavit of service which tells the court what documents were served, how, when, where and to whom. What Is the Meaning of Serving a Lawsuit? If you're filing a lawsuit with the court, whether it's a divorce action, an eviction or anything else, it's not enough to fill out the court documents and forget about them. Some documents need to be given to the other person named in the lawsuit so he knows what your issue is and has a fair opportunity to respond or resolve the matter outside of court. The process of giving the papers to the other side is called "service." The way you choose to give the court papers is known as the "method of service." How Do You Serve Court Papers? Since the court wants to hear from the other side, there are some pretty strict rules about who can give service and how. Sometimes, you'll be able to deliver the papers yourself; other times, you'll have to get a friend or another adult who isn't involved in the case to do it for you. Most people choose to have the county sheriff or a professional process server deliver the papers since these people know how to locate people and hand over important court documents, and to do so legally. When you serve the papers is another key point to consider. Most lawsuits have a strict time window for service, for example, making sure you serve the papers at least 20 days before the court date. If you miss the time window, the case may be postponed. An affidavit of service is a sworn statement regarding the manner in which you served the court papers on the other party. It describes what papers you served, when you served them, how you served them and to whom. It's basically a proof of service of a summons, in the form of testimony, to assure the court that the papers were legally and properly served. If affidavits of service did not exist, the process server would have to show up in court, take the witness stand, raise a hand, swear to tell the truth, then describe how he served the papers. Imagine how much time this would take, especially if there were a lot of parties being served! Who Can Sign an Affidavit of Service? Only the person who made the service can sign an affidavit of service. So, if you deliver the writ of summons, you will swear the affidavit; if you hire a process server to serve the summons, the process server will swear the affidavit, not you. When you sign an affidavit, you're basically asserting that the information is true, and that you have personal knowledge of the statements contained in the affidavit. You can't make that declaration unless you performed the service yourself. What Information Is Included in an Affidavit of Service? The exact time, date and place of service. 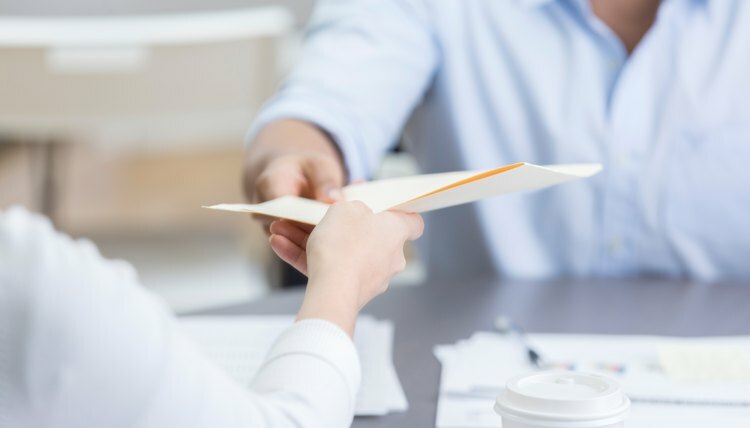 Many affidavit forms do the heavy lifting for you by listing the common methods of service, such as personal service or sending the papers by prepaid mail. With these types of forms, you simple check the appropriate box. How Do You Sign an Affidavit of Service? Affidavits of service must be sworn under oath, so you'll need to sign it before a notary public. A notary is authorized by the state to check your driver's license, passport or other identification, and to witness you signing the affidavit. There are two types of notarization services: an acknowledgment and a jurat. A jurat is more formal than an acknowledgement, as the notary will administer a formal oath. You must raise your right hand and repeat the oath out loud, declaring the contents of the affidavit to be true based on your personal knowledge. You'll then sign the affidavit in the notary's presence. The notary will not typically tell you which type of notarization is required, so it is up to you to request a jurat. How Do You File an Affidavit of Service? Once your affidavit is signed and notarized, take it to the court clerk where you filed the lawsuit. The clerk will attach the affidavit to the court's copy of the papers you served to show that service was properly performed. The affidavit of service is not served on the other party, it is only filed with the court. Always request a copy of the process server's affidavit of service for your own records, even if you have to pay a small fee. What Happens If There's No Affidavit of Service or the Affidavit is Incomplete? When there's no affidavit of service or the affidavit is incomplete, you may be looking at some potentially serious consequences. At one end of the scale, the judge may require you to go back and re-serve all the court papers, and the case will be postponed until you have served the documents properly. At the other end of the scale, a judge may dismiss the case or give judgment for the other side. In the worst case, the judge may decide that you're in contempt of court. Contempt laws are in place to ensure fair trials, so anything that delays, disrupts or prejudices a trial could potentially be in contempt. A contempt of court charge is serious, involving fines and possibly a jail sentence. In a similar vein, you must be 100 percent truthful in an affidavit of service. Lying in a sworn affidavit is just like lying on the stand in a court proceeding. If the court finds out you've misled them, you face the charge of perjury, which carries a penalty of fines and at least one year's prison time. It's sobering stuff. Notarize: What is a Jurat? Thompson, Jayne. "How to File an Affidavit of Service." , https://legalbeagle.com/5908280-file-affidavit-service.html. 16 October 2018.